From the beginning Ti Kaye was built and designed to have the least impact on the environment. Ti Kaye Resort & Spa is excited to celebrate its 15-year Anniversary, and to mark this momentous occasion the resort is showcasing an all new Spa program, ‘Stay with us in May and June’ specials and deals, and promising several surprises to come. Opened in 2001, Ti Kaye Resort & Spa is the dream of founder Nick Pinnock, who started with just four complete cottages and a restaurant. Since then the resort has grown to 33 cottages, two world class restaurants, a modern Spa and fitness center, and an award-winning wine cellar with the best selection in Saint Lucia and the southern Caribbean. Along the way Ti Kaye Resort & Spa has picked up numerous awards, including recent wins of Wine Spectator’s 2015 Best of Award of Excellence and TripAdvisor’s 2015 Hall of Fame. Ti Kaye Resort & Spa’s commitment to the environment continues to grow and evolve each year, working to improve the resort’s environmental track record whenever possible. In addition to an on-site water treatment facility, a strict ‘no plastic’ policy, partial solar water heating and power generation, and monthly beach cleanups, Ti Kaye has also recently taken the extraordinary length of championing a recycling program in partnership with other leading hotels on Saint Lucia. The resort also has a new spa program in the works, with the launch planned for later this month, as well as exciting new food and beverage tasting menus on the horizon. The first 15 years have been an incredible journey for this boutique resort, and the next 15 years are sure to be just as exciting. It’s time to celebrate, with ‘Stay with us in May and June’ specials offering guests who stay between now and June 30 a $150 Meal Credit, 15% off at Kai Koko Spa and on Ti Kaye Diving excursions, and 15% off return airport transfers. 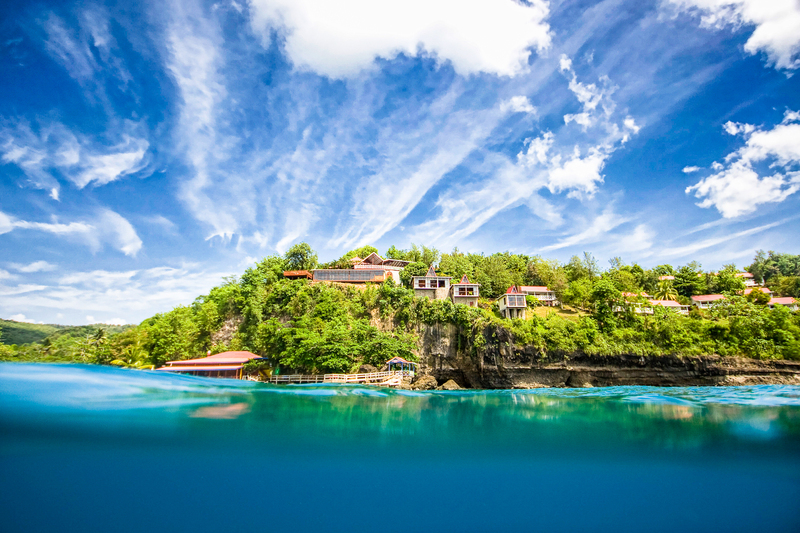 About Ti Kaye Resort & Spa: Located above the secluded Anse Cochon Cove, Saint Lucia, the award-winning Ti Kaye Resort & Spa rests perfectly nestled along the cliff, overlooking the tranquil waters and secluded beach below. The resort’s design is inspired by nature, with each cottage built into the landscape, drawing from the beauty of the lush natural environs. Guests are invited to unplug with and indulge with modern amenities, free resort wide WiFi, outdoor garden showers and some cottages with private personal pools. Enjoy postcard perfect views, total privacy by design surrounded by natural elegance and sophistication at this boutique luxury resort. Looking up at Ti Kaye Resort & Spa from the waters off Anse Cochon. 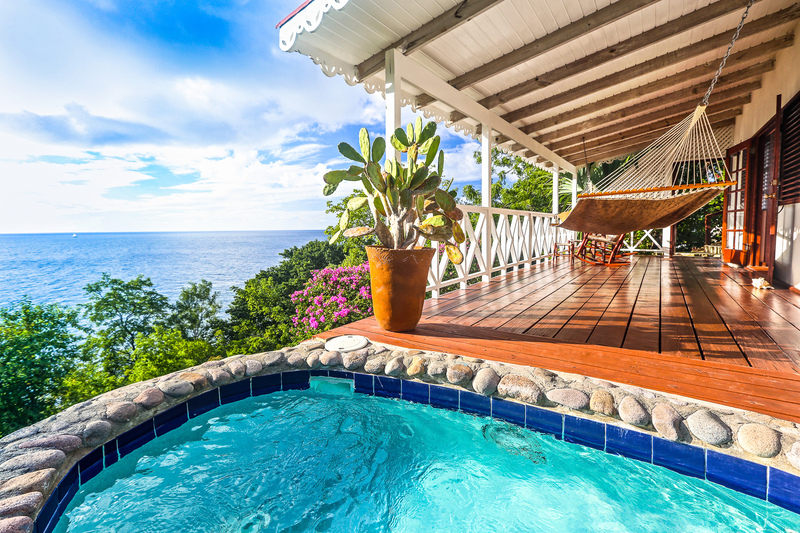 Ti Kaye Resort & Spa's boutique luxury cottages boast spectacular ocean views!